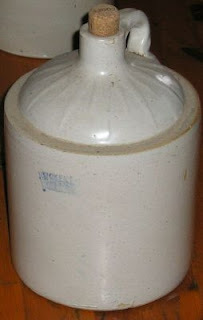 Dad collected antiques and he had a couple of old jugs like this one. This one was kept in the living room. Mom kept dried grass and cattails in it, I remember one year some of the cattails bursting and making a mess. Posted by Karen at 3:55 p.m.